Snuggle up with a Bowl of Homemade Soup...or Maybe 52 of Them? Snuggle up with a Bowl of Homemade Soup…or Maybe 52 of Them? I’ve been blessed the past 4 months or so to have stumbled into a blogging group of quite amazing people. 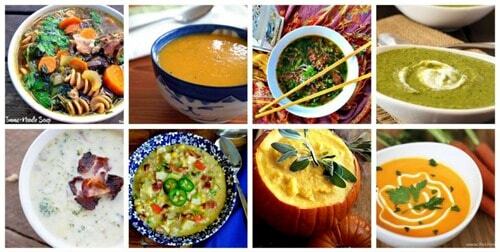 They’re talented, smart, motivated, fun, kind, giving…and make incredible recipes with mouth-watering photos. The “social” part of being in the social media world ebbs and flows for me – I get holed up in my own world of this blog for a while and forget about social connections, and then I bounce back. I’m in a “bounce” right now. That can mean I’m spending too much time on Facebook in blogging groups (ahem), but hopefully that’s ultimately a good thing for me learning my craft. Today, something very productive came out of all that socializing. 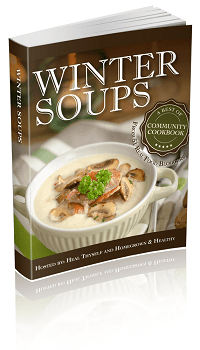 “Stone Soup” is an old folk story in which hungry strangers persuade local people of a town to give them food. It is usually told as a lesson in cooperation, especially amid scarcity. 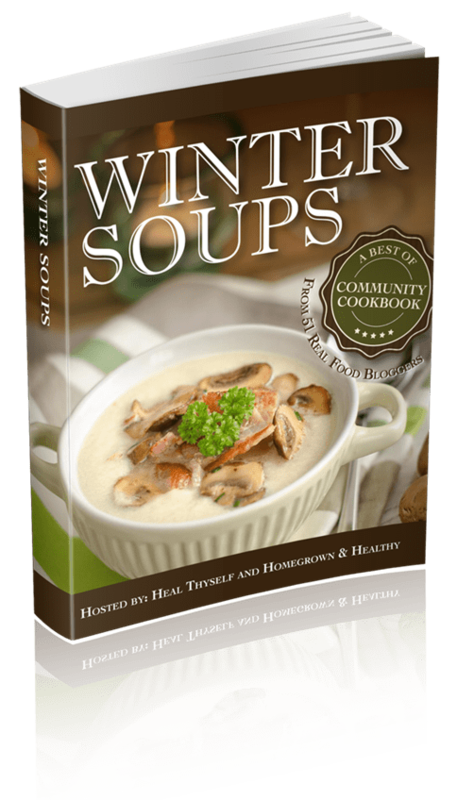 The “Stone Soup” theory – that a fabulous soup can be made from many individual contributions of simple ingredients – is an allegory for community cookbooks across generations. Long before blogging and social networks, trading recipes has been a way to connect and transfer culture, nourishment and love from the heart of the home (the kitchen) to others. Similarly, each blogger shared his or her best recipe for our recipe collection…and shared their love of cooking real food with your family for your good health! This is an eBook only; nothing will come in the mail. It’s just one page, perfect to tack to the fridge so you never have to look anything up when you’re whipping up a batch of nourishing, homemade stock – because how else are you going to have soup at least once a week and get through all the gorgeous recipes in this book? This is a digital product only; nothing will come in the mail. 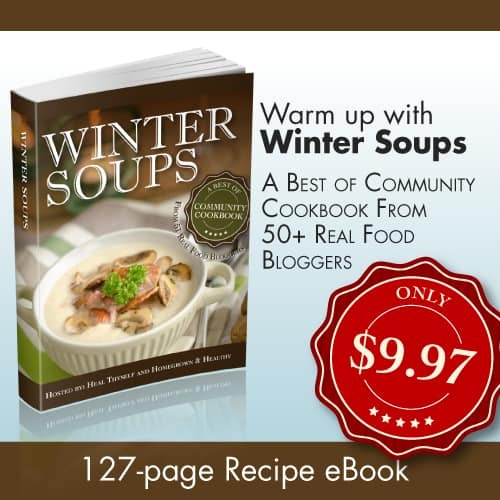 What’s in Winter Soups, the eBook? 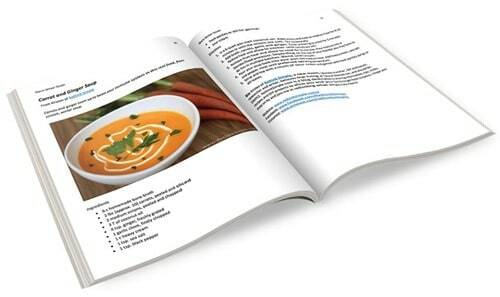 You can view this book on your computer, mobile device, or email it to your Kindle or Nook, and you can also print individual recipes as you wish, either directly from the PDF with the photo, or copy the text into a document and delete the photo to save ink. Any questions about the book, please ask in the comments and I’ll answer for you! 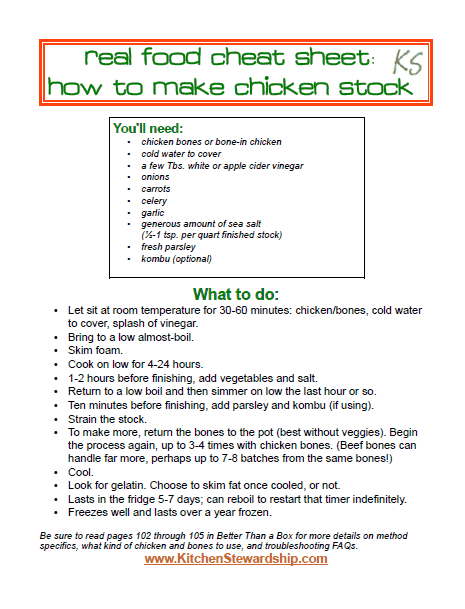 This is the first “Community Cookbook,” but watch for more coming soon! I use the Plan to Eat software, will this book work with that? The recipes aren’t automatically in Plan to Eat, so just like any PDF, you can copy and paste into the “bulk ingredients” part of Plan to Eat and it shouldn’t take too long. I don’t think there is a feature to “input entire PDF” into PTE (although it would be handy, wouldn’t it?). If you’re tired of rice and potatoes (I know I am!) try making soba (buckwheat) noodles! They’re pretty easy — just buckwheat flour and water. You add the very least amount of water you can to make them work, like with pie crust. I roll them thin and then slice them like linguine. They are SO GOOD in chicken soup! They hold up much better than pasta. Sheila i will have to try that sometime! Sounds easy enough…thanks!! I purchased the book but haven’t received it yet. Has it been released yet? Please forward your receipt to us at katieATkitchenstewardship.com (replacing the AT with @) and we will send you your download links. We had a couple issues with the links being sent out. 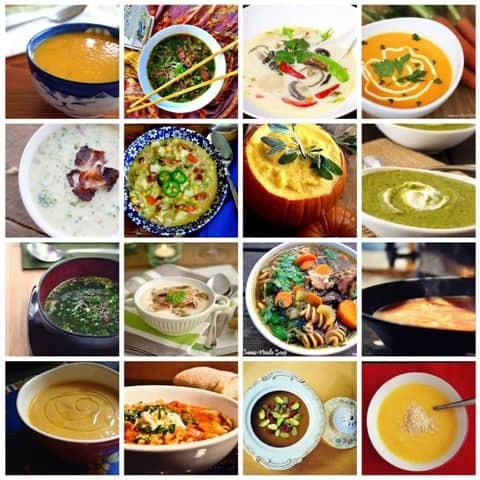 This is a wonderful collection of delicious soup recipes. We made a different soup each night, five days straight and everyone was a winner. 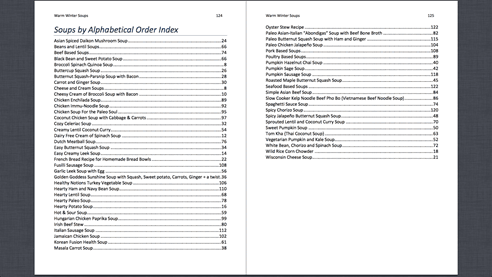 I was hesitant about an eBook for recipes but this is user friendly, and I can highlight my favorites, or add notes. Thank you. Hearty lentil is the fav so far.